Automakers haven't yet used the slice of broadband reserved for car-to-car communications yet, and a bunch of tech companies want a slice of that sweet sweet broadband. Now it's coming to a head. The players are the automakers on one side and the tech companies on the other. To be fair, the tech companies also include Microsoft and Google, but everyone loves hating on Comcast so I couldn't resist. What's at stake? The auto companies say they need the broadband for car-to-car communications that they say will prevent crashes by having cars talk to one another. The tech companies argue that that hasn't happened yet and that empty space could be used for all that other data people are using. According to Bloomberg, both sides spent around $200 million last year lobbying for it. In fairness to to the tech companies, it's possible that they could share that space. It's not a rumor that Tesla's Elon Musk met with Adrian Perica, Apple's head of mergers and acquisitions. That really happened. However, it happened nearly a year ago and so far nothing has come of it. While it's possible that we'll find out in Tesla's earnings report later today that Apple has purchased Tesla, I think that's the lowest probable outcome as I told Bloomberg's Betty Liu yesterday. The more reasonable expectation is that Apple is looking for someone to run its iCar iOS system and Tesla makes sense. Could that mean Apple buying a part of Tesla? Absolutely. Buying all of it? I don't think Elon's going to sell. Another possibility is that — and i have no proof of this — someone close to Tesla leaked the information before their earnings to push their stock price to $203.70. Assuming they have good news to report, it would make the price go even higher. I'm not saying that's what happened, but that's what I would do. Analysts who spoke with Automotive News credit the rumors with the price increase. America isn't the only country with unions. Japan's Tokyo Motor Company is in talks with its unions and they've found union demands to be "surprisingly high" according to Bloomberg's newest Tokyo coverage team. The carmaker will wait until the negotiations are finished before saying whether it will agree to the requests, Senior Managing Officer Naoki Miyazaki told reporters Wednesday in Toyota City, Japan. He said improvement in Japan's economy and the need to boost personal spending will be considered in the talks. Toyota this month reported profit quintupled last quarter and raised its forecast for the year ending March 31 to an unprecedented 1.9 trillion yen, as economic policies under Prime Minister Shinzo Abe weaken the yen and boost earnings from cars exported out of Japan. Abe has urged companies to raise wages faster than gains in the cost of living, as rising consumer prices risk undermining his public support. Exactly, so why are you surprised? As we reported yesterday, France's Peugeot family has turned over its company to China's Dongfeng Motor Group. This is the equivalent of Bill Ford handing the company to Chery, or something. On one side, the garrulous and banker-friendly Robert Peugeot, who runs a holding company with other family investments, has pitched openness to new investors. Thierry Peugeot, the buttoned-up chairman, has instead devoted his life to safeguarding the family legacy, according to people who know him, often spending weekends at his house near the company's old headquarters in Sochaux, in eastern France, where Peugeot maintains a company museum. How do you make a lighter 2015 Ford F-150 without disappointing truck buyers… who tend to run late? In an effort to improve the durability of its leather-wrapped truck seats, Ford hired a firm to enlist the help of men of a certain size: at least 265 pounds. Dressed in dirty jeans, their mission was to climb into the driver's seat, get down and climb up again, at least 10,000 times per truck. Driver Cale Yarborough wins his fourth Daytona 500 on this day in 1984. In the history of the 200-lap, 500-mile race, which was first run at Florida's Daytona International Speedway in 1959 and is considered one of the National Association for Stock Car Auto Racing (NASCAR)'s premiere events, only one driver topped Yarborough's record—Richard Petty, who took home seven victories (1964, 1966, 1971, 1973, 1974, 1979, 1981). 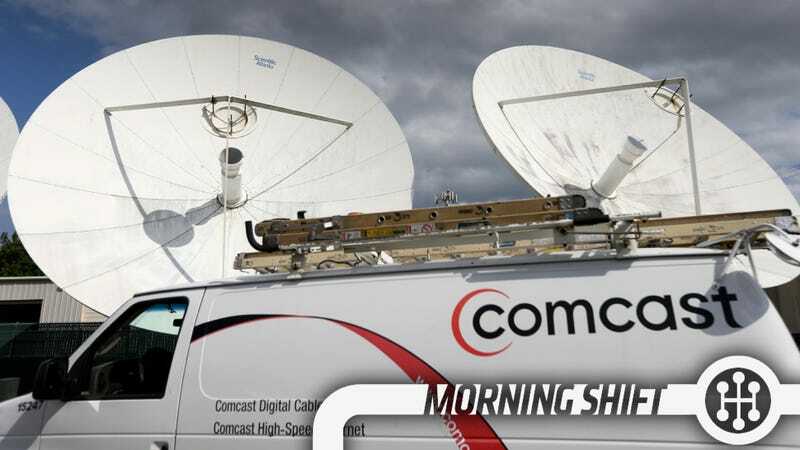 Neutral: Should Automakers Say The Broadband? Or should they be greedy?